This oriental flavoured bag has a pocket in the front. The pocket is cut to match the background ladies... Neat eh? 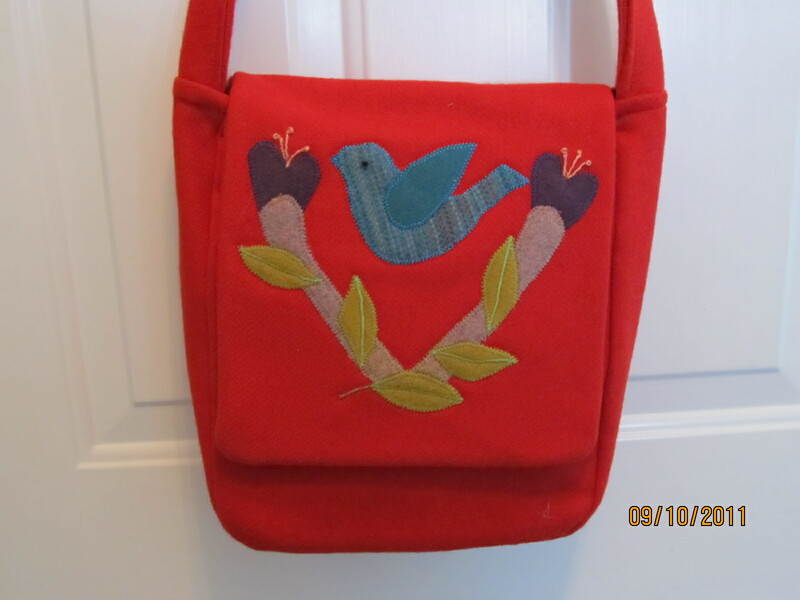 This is the messenger bag I was working on earlier, All finished now.It is a red wool and wool applique. This is done with wool applique. 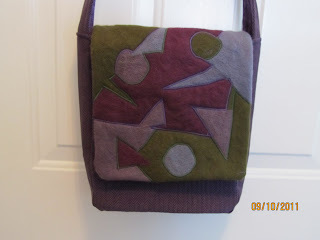 I just cut out shapes and used my embellisher to attatch them. I love this color combo. 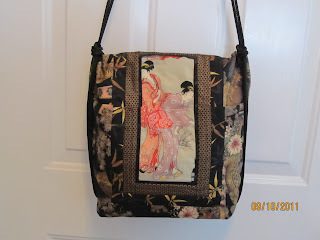 The main part of the bag is a heavy fabric which I did a lot of machine stitching on. This messenger bag has so many possibilities, hard to stop making them. Love them! The Oriental one is really neat with that image!!!! Your bags are really neat. I too liked the Oriental one but wouldn't turn any of them down. Gorgeous bags and the oriental one is just achingly beautiful!